Some places are like that..There would not be anything to see or there would not be anyone to meet. But we feel attached to it on some sentimental, emotional level. There would not be anything important waiting for us, other than some deep, close to heart memories. You would have a true sense of roots. And yes,we call it personal because you alone can understand it. Deep within, you know that you belong there. It is not necessary that you have to step inside those compound walls and breathe its air to drive nostalgic. Just the very name of it is all enough to remind your connection to that place - as the hospital where, you were born; as the church where you received your Baptism or as the school, where you studied for the first time. 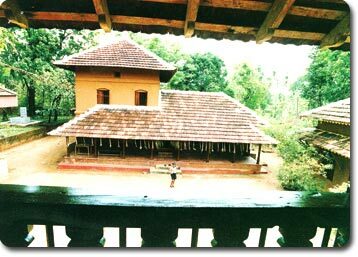 This is Kalakkath Tharavad at Killikkurissimangalam in Lakkidi, near Ottapalam in Gods own Kerala. This is the good old ancestral house of great poet, Kunchan Nambiar. I feel, I belong here. It give a sense of bonding, a very special connection and it has a reason. This is the place where I opened my windows to that vast world of knowledge. This is the place where I had written alphabets on that tray of rice grains. Yes, my Vidhyaramabam, happened here, on some 23 years back of now. More than anyone else, the narrow corridors and timbered roofs of his ancestral house would be remembering that beating pulse of little me. 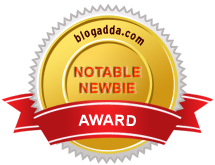 When I marked the journey with my little fingers on those tiny grains then, I had never known that I would grow up to a 25 year girl to blog about it. I miss that 3 year old innocence, green pattupavadai and dad’s classic Yezdi bike, which took us to Lakkidi. Despite, having an experienced grandmother, who had conducted the Ezhuthiniruthu ceremony of all other members of our family ,my parents took me to Lakkidi on a Vijayadasami Day. Irrespective of all the religious significance of being in a Christian family, they took me there. And I still wonder, why? Every year, I ask them, why did they, take me there rather than conducting the ceremony at home in the presence of elderly family members. Every time I ask, they say nothing about it. Till now, I didn’t get a proper answer.I know, certain questions are answer less and I can only smile to myself. It was written by Destiny. I am happy that I belong to this place. It the place where the letters and alphabets are born to my fingertips. So I have a strong sense of attachment to here. That was pretty awesome Ashitha. Happy Vijayadasami. I wish you get all that you aim. some festivals and rituals have a place beyond the binds of religion. They should be seen as such so. I like the concept behind vijaydashmi despite being a christian too.